Light and rigid construction due to compact and strong design of the unit. Slim unit design also fulfills the stringent space requirement of today’s building design. Unique design of fan coil units allow easy on-site modifications of water pipes configuration (left or right). Accessories are also available to ensure trouble-free installation. 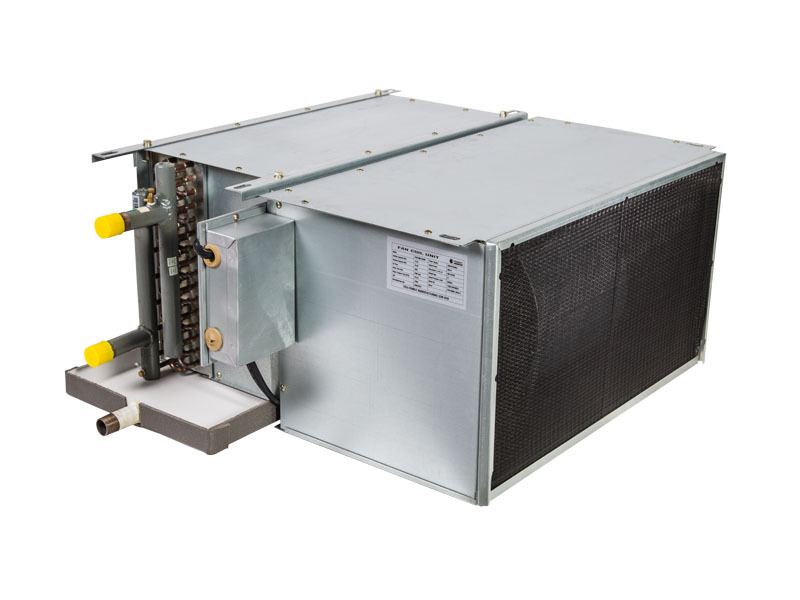 The fan coil units are equipped with high quality electrical motor with low noise bearing that do not require lubrication and thus minimum maintenance effort required. Blowers and also motors can be dismantled individually if cleaning of heat exchanger is needed. High quality copper pipes with slit profile aluminum fins are being transformed into high efficiency heat exchanger through advance design, manufacturing equipment and processes. One piece molded drain pan with integral thermal insulation and professional welding skill enable all condensate water to be collected and prevent condensation at the outside of the drain pan. All fan coil units are manufactured in ISO9001:2015 certified manufacturing facility whereby highest products’ quality is always top priority. The products’ high quality standard has been recognized through successfully obtaining the CE marking certification which in turn comply with the stringent EU requirements. 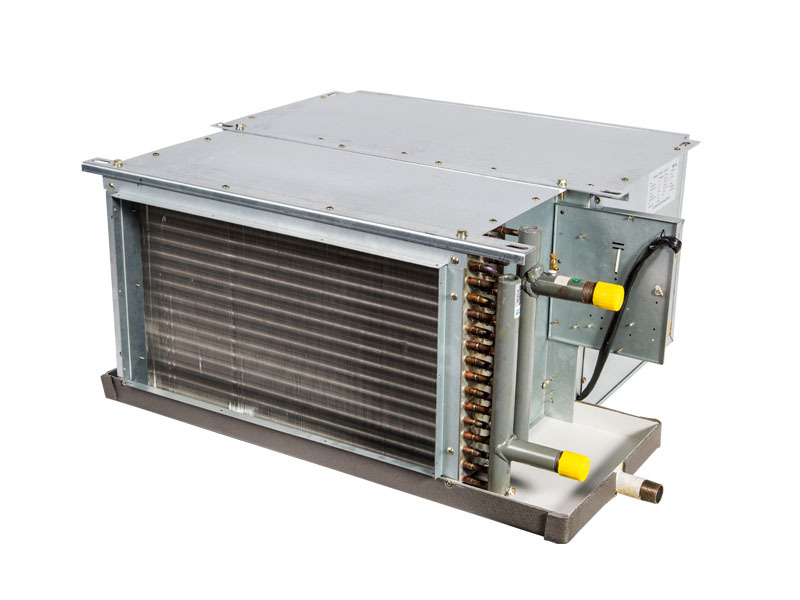 Standard fan coil units come with 3 rows coil which provide high ESP (30Pa and 60Pa) options to suit different application. Provide superb low noise performance with high quality electrical motor and supply cool air and smoothly, making your environment comfortable. Suitable non-standard options with high chilled water different temperature and ESP (75 Pa). 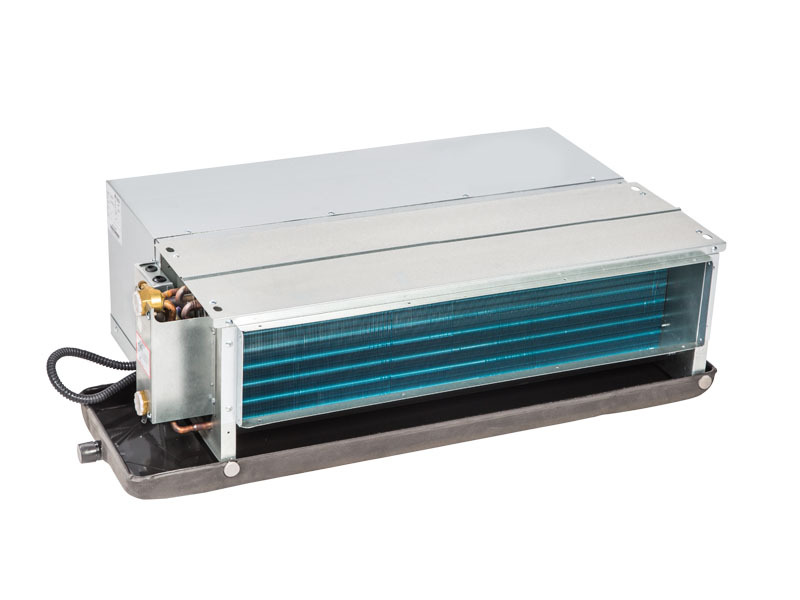 Provide a smoothly air directly to where you need and units suitable for high external static pressure (ESP) which is 130 Pa and also with height of only 430mm is most suitable for applications that demand for high air flow but with space saving in mind. Provides cool and comfort air with four different air direction equipped with high motor efficiency with low noise by pointing to each side. It can install easily due to its light weight and slim body. It also provide different speed that will satisfy the desired airflow with minimum noise levels.